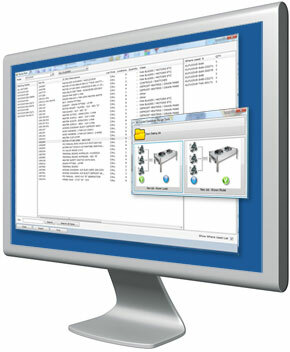 Bally Refrigeration Design Tools is a suite of software applications created to help refrigeration professionals make accurate calculations, access product information, choose components and print technical drawings. Getting started is quick and easy. Just click on the Continue button at the bottom of this page. Once you sign-up, you'll be presented with your download options. Box Wizard Load CalculatorA simple and quick means of calculating cooler and freezer loads as well as providing accurate system component selections. PiCoil Fluid Cooler DesignerConfigure a single circuit Dry Fluid Cooler. PiCoil Glycol Coil DesignerConfigure a single circuit Glycol Coil for use in walk-in coolers, refrigerated warehouses and docks. Certified Print GeneratorGenerate one-off certified prints, approval drawings and specs on given models. Includes printer output plug-in. Service Parts ListGenerate parts lists for specified models, or usage lists for specified parts. Document BrowserStreamlined access to latest product support resources (specifications, installation, technical bulletins, promotional material).